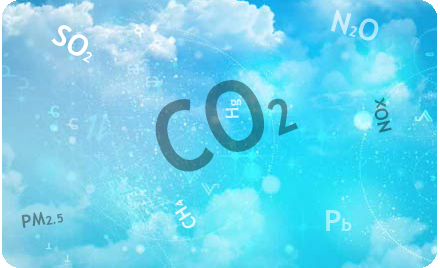 Leonardo Academy's Cleaner & Greener® Program, helps companies, organizations, families and individuals reduce air pollution that contributes to climate change and adversely affects human and environmental health. We help quantify emissions footprints, develop strategies for reducing your environmental impact through emissions reductions and offset purchases, and provide Cleaner & Greener® certification for the level of emission reductions and offsets achieved. Cleaner & Greener® participation can help your building earn one credit toward Leadership in Energy and Environmental Design for Existing Buildings (LEED-EB®) status through the U.S. Green Building Council’s certification program. Buildings participating in Cleaner & Greener® can achieve the LEED-EB Energy and Atmosphere Emission Reduction Reporting credit by documenting the emission reduction benefits of building efficiency actions, retiring a portion of the reductions and requesting that their suppliers do the same. Any building can earn Cleaner & Greener® certification if it meets minimum energy performance requirements and offsets its emissions. Visit the Cleaner & Greener® website for details. *Note: applicants for buildings in Canada should contact us before completing the application. The Cleaner & Greener® Program helps event organizers quantify, reduce and offset emissions caused by event activities and earn Cleaner & Greener® certification. We calculate emissions resulting from travel to and from the event, event space energy use, lodging, and meals. We work with the event host to offset these emissions at the level that they choose. Events are certified Cleaner & Greener® by Leonardo Academy and recognized for the level of emission reductions and offsets achieved. The Cleaner & Greener® Program helps companies and organizations lead the way to a cleaner, greener and healthier environment. We quantify your emissions footprint, calculate emission reductions from energy efficiency and other emission reduction projects, help you offset these emissions, and certify the level of emission reductions and offsets achieved. Cleaner & Greener® certification can help you—whether you represent a business, government office, or other organization—communicate to the public that you are taking action to reduce pollution that contributes to climate change, smog and acid rain. The program recognizes your company or organization for its environmental stewardship by rewarding the emission reduction benefits of energy efficiency and renewable energy. The Cleaner & Greener Program® also helps families and individuals reduce their environmental footprint and to live more sustainably by reducing and offsetting emissions created by home energy use, transportation and lifestyle activities.